Home News Spieth Confident He’s Now Back Heading In The Right Direction. Spieth Confident He’s Now Back Heading In The Right Direction. 2 months ago by Fatiha Betscher Comments Off on Spieth Confident He’s Now Back Heading In The Right Direction. 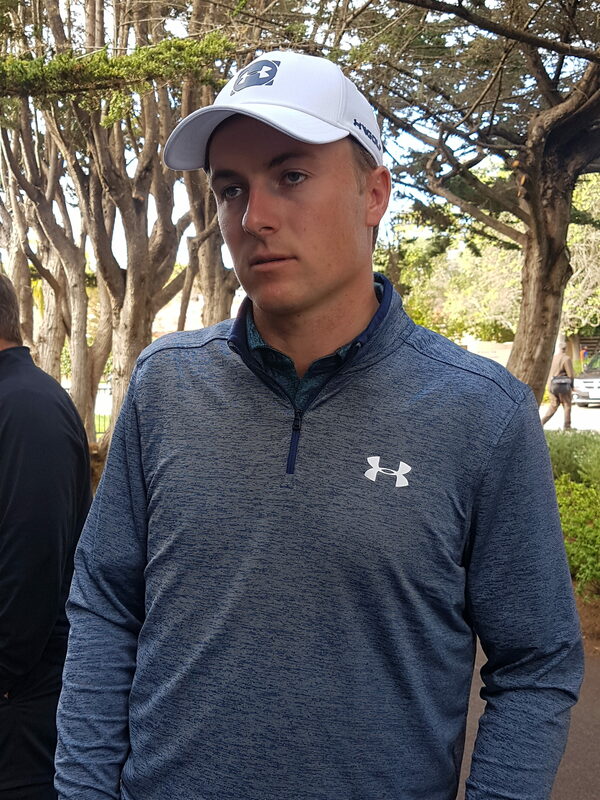 Four-time Major winning Jordan Spieth reckons his game is heading in all the right directions ahead of teeing-up in the AT&T Pebble Beach Pro-Am. Spieth has not tasted victory since his sensational, and very dramatic, victory in the 2017 Open Championship at Royal Birkdale and the newly-engaged Texan would dearly love to get another win on the board each in this 2019 season. Indeed, Spieth has not had a top-10 finish since last year’s Open at Carnoustie ad with the former World No. currently ranked a lowly 21st on the rankings and his lowest ranking since his 22nd ranking at the start of the 2014 season and that is five years ago. He tees-up this week having shared 35th place in his last start two weeks ago at the Farmers Insurance Open. “It’s about how do I improve to get myself into contention this week and then what do I do next week and just staying very present and recognizing the longevity of a career,” Spieth said. And in returning this year to Pebble Beach Speith recalled the first occasion he teed-up on the famed Californian course. “I think the first time I played it would have been the practice round for the 2013 tournament,” he said. “I don’t remember — I didn’t play Pebble before that. We were out in the area for a college event that we played at Cypress, actually, but I didn’t play Pebble on that trip, oddly enough. I remember just recognizing shots that had been hit in historical major championships and AT&T pro-ams over the years. “I remember the severity of like No. 6, the second shot. I remember playing that on like the Tiger Woods video games back in the day and hitting shots up that hill and certain clubs weren’t going to carry the hill and certain clubs would on the video game. And the difference in the course this week to the host in June for the staging of the US Open? “The fairways taken in is what you notice immediately. The rough’s actually lower than it has been in past years for this tournament right now. But the fairway lines, like our yardage books look different from last year to this year,” he added. “They have started to take them in already and you’re starting to see the fairways that we’re going to see. You will see the fairways this week that we’ll see for the U.S. Open, it just certainly will play wider given how soft it is.